Box Text: They said the enemy was weak in the boonies. ANNIHILATE ENEMIES AS THEY ATTACK FROM ALL SIDES! DEVELOP YOUR CITIES AND STRENGTHEN YOUR UNITS! PROTECT HUMANITY AS A LEADER TO BE RECKONED WITH! 09-04-2016 shfan Box Text They said the enemy was weak in the boonies. Man, were they wrong! ANNIHILATE ENEMIES AS THEY ATTACK FROM ALL SIDES! DEVELOP YOUR CITIES AND STRENGTHEN YOUR UNITS! PROTECT HUMANITY AS A LEADER TO BE RECKONED WITH! 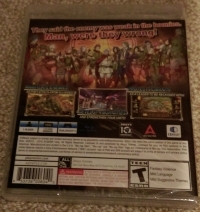 This is a list of VGCollect users who have Aegis of Earth: Protonovus Assault in their Collection. This is a list of VGCollect users who have Aegis of Earth: Protonovus Assault in their Sell List. 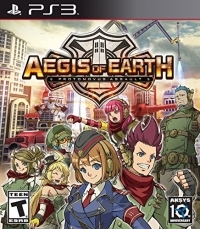 This is a list of VGCollect users who have Aegis of Earth: Protonovus Assault in their Wish List.